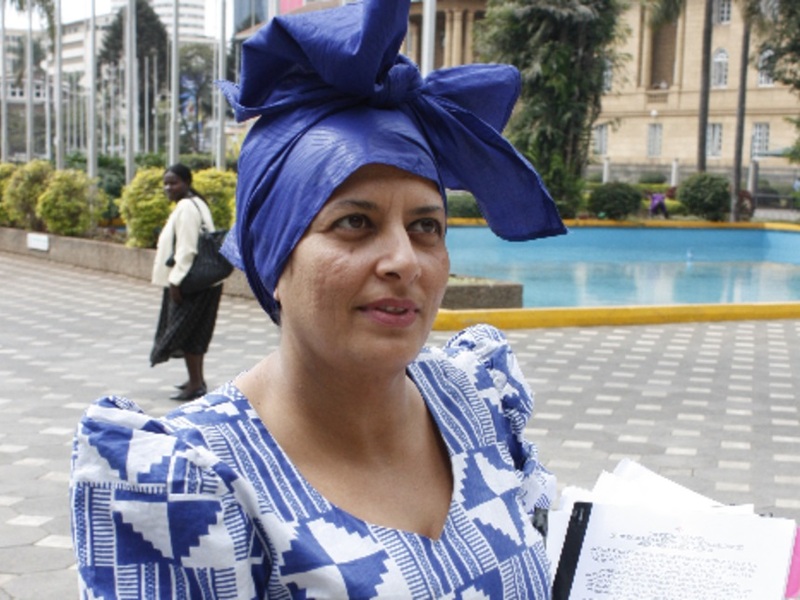 Home / Other Political News, Politics / DUALE’s ex lover, NAZLIN UMAR, says OBADO’s wife, HELLEN, should be arrested over SHARON OTIENO’s murder - She is the one! DUALE’s ex lover, NAZLIN UMAR, says OBADO’s wife, HELLEN, should be arrested over SHARON OTIENO’s murder - She is the one! Saturday September 15, 2018 - Former Presidential candidate, Nazlin Umar, has said Migori Governor, Okoth Obado’s wife, Hellen Obado, should be questioned over the death of University of Rongo student, Sharon Otieno. Sharing her thoughts via social media on Friday, Umar, who is a former ex lover of Leader of Majority in Parliament, Aden Duale, said Hellen had a motive of killing Sharon because she was sleeping with her husband and her son. She also claimed that the Governor's wife was related to Nation Media's Barack Oduor, who was allegedly kidnapped alongside Sharon. “Didn't I tell you, the wife is a prime suspect too. All three. Father, son and mum. All had good motive to want her, and the baby dead. And the journalist with the spiderman story who lured her to her death, is related to Mrs. Obado,” Umar said. Mrs Obado is yet to be questioned by police despite being mentioned in some quarters that she was involved in the gory murder of Sharon. Sharon was seven months pregnant with Obado’s child when she was sent to her maker.